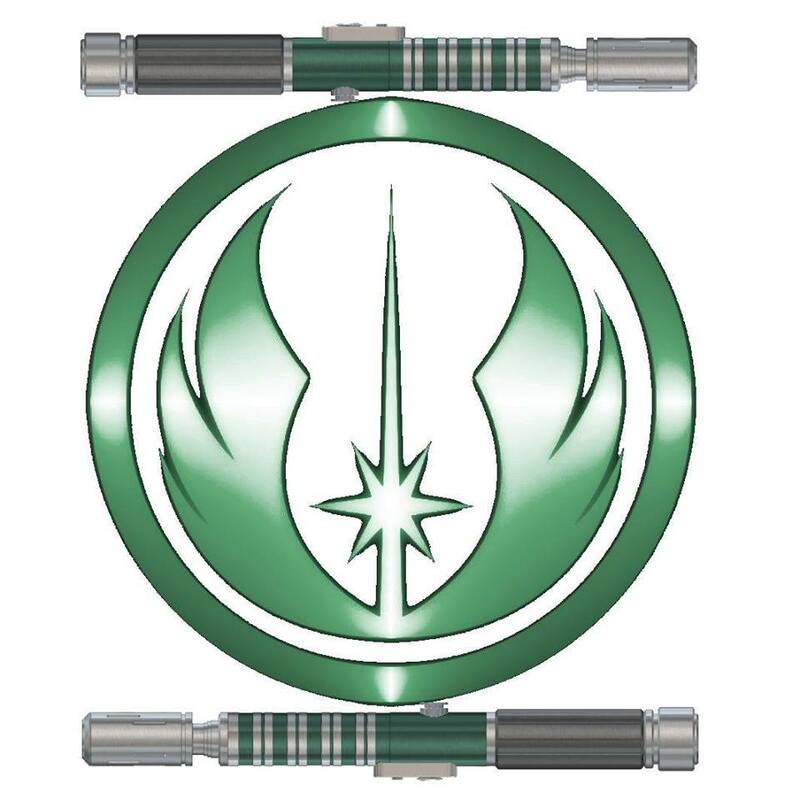 During the "Saga Edition" version of the Order 66 Podcast, the boys had an occasional segment where listeners would send in their various house rules or "fixes" for the game. I was an occasional contributor to this bit, but in the new FFG system there hasn't been much call for it. Most of my home-brewed rules (like my Jedi Career) have been addressed in full, official rules. Practically everything has been addressed except for one glaring deficiency to this game, or at least something I find to be a deficiency. I've found the system's vehicle combat rules way too lethal for what we see in the films and EU. I'm okay with unnamed or minor characters being blown out of the sky at a whim, but for the named heroes (and villains) the space combat system is a big game of "who hits first" with there being no margin for error. If you don't score the first hit, you're toast, and if you're outnumbered you'll never get a chance to get the first hit in on everyone. This has made starfighter scale combats in my games quick, bloody, and unsatisfying affairs. There's nothing in the system currently to help the PCs survive if they come under the guns of an enemy ship, and nothing I can do as a GM if my enemy ace becomes a focus target by the PCs except spend a Destiny Point to make them survive when their ship is destroyed around them. Luke Skywalker, Wedge Antilles, Darth Vader/Anakin Skywalker, Ben Kenobi, Corran Horn; these are all pilots who have been in ships under heavy fighter attack yet somehow survived getting hit long after the rules say they should have been blown to space dust. They are also all (with the exception of Kenobi) great pilots, and pilot skill doesn't currently have any influence on a ship's survivability. Lastly, the system doesn't take into consideration a ship's Handling in relation to defense. I've played a lot of X-Wing/TIE Fighter over the years, and I can attest to the maddening difficulty of trying to shoot down and A-Wing, TIE Advanced, and TIE Defender. Shouldn't the sudden responsiveness and turning ability of a ship factor into it's defense and survivability somehow? While pondering a possible resolution to this dilemma, I remembered back to my last stab at home-brewing and what I did to make Lightsaber Combat more survivable. During the time before Force and Destiny, lightsaber were god weapons; one hit wonders that would take enemies out in one hit, two at most. To counter this I stacked up defenses as best I could in my Jedi Career talent trees, but that just reduced the odds of a hit; one hit still killed most targets. Ultimately the solution came with FFG adding the Parry (and Reflect) talents, as well as dialing down the base damage of the lightsaber. The reduced damage meant that the wielder would still likely carve up weak foes, but against Rivals and Nemesis-level opponents the fights would become more drawn out, more cinematic especially thanks to the Parry talent. Now both the player and their opponent can "suffer" from a few hits in such duels. The advantage that this change had in lightsaber combat is that FFG didn't publish the complete rules for Saber users until Force and Destiny. Space Combat has been in since the beginning. There are set Talent trees for pilots; both independent and combat trained. If I created a Talent to basically make a "Starship Parry" effect, how would we get it into the game for those who took the Pilot tree, or the Hotshot tree, or the Driver tree. I looked at other ways to get it into the game; where it could fit in and finally figured it out. If I make it a Pilot Only action, I can add it to the available choices in the Vehicle chapter of each book. It simply becomes another option available to pilots, instead of something they have to spend XP on and buy a special specialization tree to get. After some thought, this is what shook loose. Quick reflexes and fly-by-wire systems are not only important in maneuvering a ship into a superior attack position, but are also helpful to quickly respond to enemy fire blasting away a ship's shields and hull. Snap Roll allows pilots to utilize the maneuverability of their ship and their own exceptional skill to suddenly react to incoming fire. The pilot quickly rolls, dives, or climbs to avoid part of the incoming attack as soon as his shields and armor start getting hit by a volley of blaster bolts, or he times his maneuver so only part of a missile's detonation affects his ship. When his ship is successfully hit by a Gunnery combat check, the pilot can elect to take a Snap Roll Incidental action and reduce the damage of the attack by the sum of their ship's Handling plus the pilot's Ranks in Piloting (Planetary or Space, whichever is applicable to the vehicle he's controlling). This sudden dodge puts the ship, and the pilot, under extreme stress and g-forces; when this incidental action is taken the ship suffers 3 System Strain (bypassing Armor) as the high-G maneuver taxes on-board systems and support surfaces. Additionally, the pilot suffers 3 Strain (bypassing Soak) as those same G-forces pull, crush, and exhaust him. If a person is wearing a flight suit that reduces the amount of Strain incurred from Critical Hits to the ship, they reduce the Strain they take from a Snap Roll action to 1. Droids are immune to the personal Strain damage as long as they are at a station, locked in a droid socket, or have some other means to prevent them from being bounced around the ship's interior. Finally, certain species* may be immune to some or all of the Strain damage, such as those with hearty metabolisms or who can survive in a vacuum (GM's discretion). What this does is allow folks in highly maneuverable, yet fragile craft survive a hit or two, at the cost of pushing their ship's systems closer and closer to shutdown. It can also give a great pilot the ability to take an additional few hits in a less-maneuverable craft as long as their Pilot skill is higher than a ship's negative Handling score. Minions would not be able to utilize this action because they are denied from voluntarily suffering strain. This keeps the classic "horde of TIEs" from suddenly becoming more deadly while making that enemy Rival or Nemesis with the red-bloodstripes on their TIE Interceptor's wings even more of a challenge. It encourages a PC pilot to invest more in their Piloting skill, since every Rank is another point of damage blocked when making a Snap Roll. As a suggestion, a target can spend a Despair on the attack roll to activate Snap Roll at no cost (system strain or personal strain). My buddy also suggested that the attacker can spend an amount of Advantage to pass along the 3 strain to all occupants of the vehicle, not just the pilot. I'd probably say that it would require 3 Advantage or a Triumph to do that. There was also a suggestion to allow an attacker to spend a Triumph from a Gain the Advantage check to prevent their target from making Snap Roll incidental actions until the end of the attacker's next turn. So how would this work with some iconic craft, on paper? Let's take a look at a couple ships with a pilot with the appropriate skill at Rank 2. Y-Wing:0 Handling, 10 SS Threshold, Snap Roll reduces damage by 2 - a solid, robust System strain allows the pilot to reduce the damage by 2 three times. Helps define the Y-Wing as a "reliable, sturdy bomber"
A-Wing: +3 Handling, 6 SS Threshold, Snap Roll reduces damage by 5 - the A-Wing pilot is able to practically ignore some hits, but can't do it very often (only twice, assuming no other System Strain inflicted to the A-Wing). The lack of an astromech or additional crewman further limits the pilot's ability to restore System Strain. TIE Interceptor: +3 Handling, SS Threshold 8, Snap roll reduces damage by 5 - the same as the TIE above, perfect for anyone in a squadron like Baron Fel's 181st. TIE Defender: +2 Handling, SS Threshold 10, Snap roll reduces damage by 4 - the TIE Defender wouldn't quite get the same benefits as the previous TIEs on paper, but since it has one extra point of armor over the Fighter and the Interceptor it actually would provide the same net result. YT-1300: -1 Handling, SS Threshold 15, Snap Roll reduces damage by 1 - our first freighter, as minimally effective as the B-Wing, but with a high strain threshold and the likely presence of a crewman to repair the strain damage, it becomes a much higher option. YT-2400: +0 Handling, SS Threshold 18, Snap Roll reduces damage by 2 - more maneuverable and more resilient than the 1300, a 2400 could practically Snap Roll every attack. It could burn through the system faster than the crew could repair it, so while the Snap Roll keeps the 2400 in the fight longer, it doesn't make it impervious. 74-Z Aratech Speeder Bike: +1 Handling, SS Threshold 4, Snap Roll reduces damage by 3 - our first speeder, the Speeder Bike could do this once, assuming no system strain damage to the vehicle. Gives a PC or named NPC once chance to survive a light hit. T-47 Snowspeeder: +0 Handling, SS Threshold 6, Snap Roll reduces damage by 2 - like the speeder bike before it, a Snap Roll would give the Alliance speeder the ability to possibly survive one hit from an Imperial Walker's cannon, but only just. T-16 Skyhopper: +3 Handling, SS Threshold 6, Snap Roll reduces damage by 5 - a Snap Roll for the Skyhopper is pretty much the only way it could survive a hit from any sort of laser cannon, and even then it would only be delaying the inevitable. This is what a Snap Roll would look like given a starting PC or comparable Rival NPC (not counting those Corellians, of course). 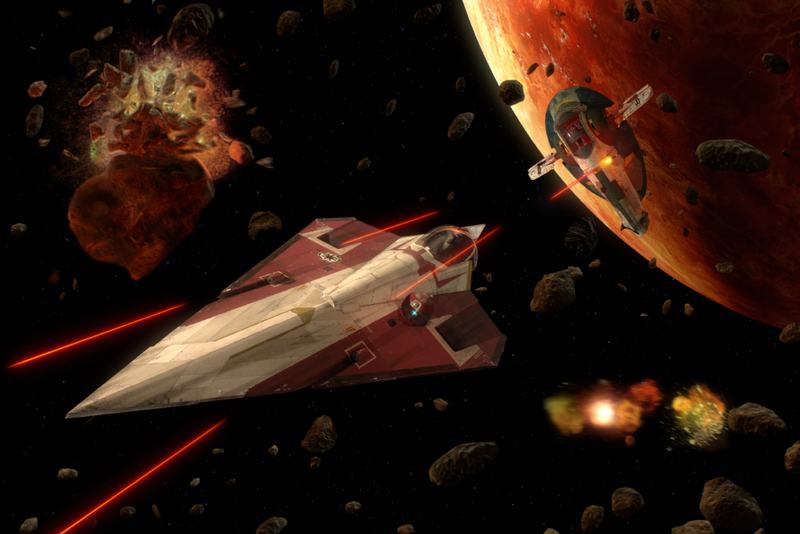 Raising the ranks in Piloting would increase the effectiveness of a Snap Roll, and allow PCs to eventually reach a point where they could take on multiple enemy fighters at one time and stand a good chance of survival thanks to their superior Skill. I like the way this looks on paper. Next, like any good idea, is to see how it works in practice. I'll want to do some test rolls on classic fights (X-Wing vs TIE Advanced, A-Wing vs TIE Interceptor, YT-1300 vs horde of TIEs) and then the ultimate test; giving this option to my PCs. I like the numbers above, as they don't look overpowered. I guess I need to see how it plays and if it slows down combat, or makes space combat long enough to be enjoyable. I'm hoping for the latter. Should be a blast (or maybe not, if this works as intended). I'll let you know how it goes. EDIT 2/3/2015: I've decided after supporting feedback that giving certain species reduced or immunity to the strain from the Snap Roll opens up too big a can of worms. I no longer recommend that, but feel free to use it with caution.